For the past few months the $95 annual fee British Airways Visa Signature® Card has been offering an increased welcome bonus of up to 100,000 Avios, which a lot of people should be eligible for. Personally I value Avios at 1.3 cents each, so to me 50,000 Avios are worth $650, 75,000 Avios are worth $975, and 100,000 Avios are worth $1,300. In my opinion it can make sense to sign-up for this card regardless of whether you plan to reach the 50,000, 75,000, or 100,000 Avios thresholds. This card has been around for about a decade, and I know there are many people who had the card a long time ago, but might be interested again. The card (including the welcome bonus) are available to those who don’t currently have the card, and those who haven’t received a welcome bonus on the card in the past 24 months, meaning lots of people should be eligible for the card. There are so many great ways to redeem Avios, including short-haul business class within Asia on Cathay Pacific, short-haul flying within South America on LATAM, domestic travel within the lower 48 US on Alaska and American, travel between the US mainland and Hawaii on Alaska and American, short-haul travel within Europe on British Airways, travel within Australia on Qantas, and much more. I find Avios to be invaluable as part of my overall miles & points strategy, as they’re useful in areas where other currencies aren’t. One of the best benefits of the British Airways Visa Signature® Card is that it offers a 10% discount on the purchase of a British Airways ticket by using promotion code CHASEBA10 at the time of booking. 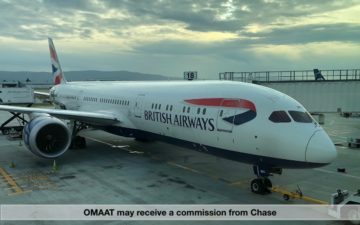 There are some restrictions, like you have to be originating in the US and traveling exclusively on British Airways metal, but you can save big money with this benefit. 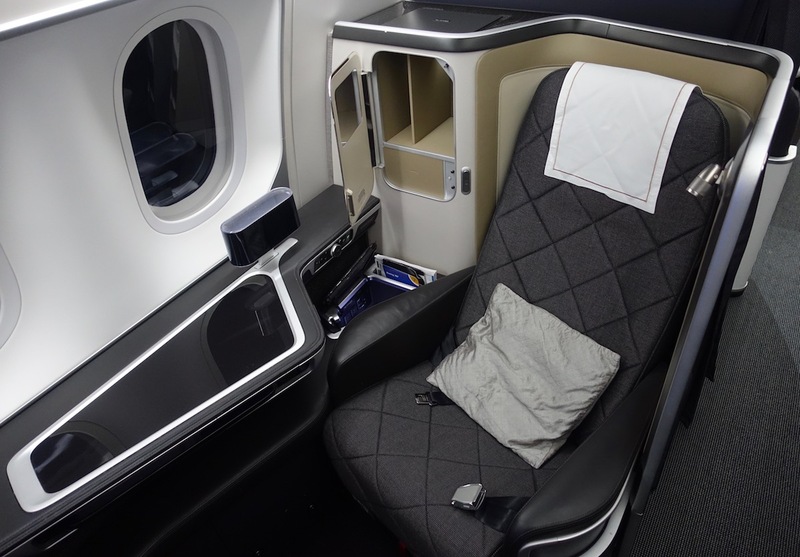 Best of all, the 10% discount can be stacked with the AARP discount of up to $200 per British Airways business class ticket, which potentially translates to some significant savings, especially since British Airways often publishes great discounted business class fares. One of the potentially cool perks of the British Airways Visa Signature® Card is that you can earn a “Travel Together Ticket” when you spend $30,000 on the card in a calendar year. Cardholders can earn up to one of these per year, and it will be deposited in your Executive Club account 4-6 weeks after you’ve completed the required spend. With this certificate you can book a British Airways award ticket at the full cost of Avios and carrier imposed surcharges, and then for the second person you just have to pay the surcharges. 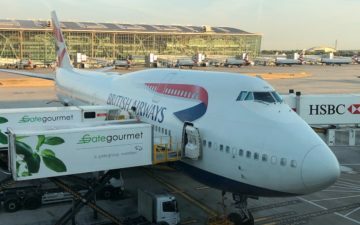 While British Airways has hefty surcharges for travel on their own flights, this can still represent a great deal for first & business class travel, given how much those tickets would otherwise cost. This isn’t for everyone, though it has the potential to represent a good value, and I know it’s a feature that many value. This can be an especially good deal the first year. If you apply for the card and spend $20,000 to unlock the full welcome bonus, then you just need to spend an extra $10,000 to earn this bonus. One of the things that I love about British Airways Avios is that there are no close-in ticketing fees when redeeming awards. While American and United charge up to a $75 fee for making a booking within 21 days of departure, with British Airways you can make a booking until the day of departure without paying close-in ticketing fees. This goes especially well with British Airways having a distance based award chart, since it means you can book last minute short-haul award tickets and pay just the Avios and taxes. That’s how I end up redeeming many of my Avios. Often one of the big challenges people have with points is figuring out how to pool them, since you typically need enough points in a single account for a redemption. One of the cool features of the British Airways Executive Club program is that you can form household accounts. This allows you to pool the Avios you earn with up to six other people registered at the same address as you. This is especially awesome in the context of a credit card welcome bonus, since the British Airways Visa Signature® Card can earn you 100,000-200,000+ Avios in a single account if you have two people sign-up for the card in a household and complete the minimum spend. The British Airways Visa Signature® Card offers a generous welcome bonus of up to 100,000 Avios, is relatively easy to be approved for (as far as Chase cards go), offers some benefits that many will find valuable (a companion certificate, a 10% off benefit, etc. ), and in general Avios are a points currency that are worth collecting, in my opinion. If you don’t have this card and are eligible, I’d recommend applying, as offers on the card don’t get better than this. The “no close in ticketing fees” point, along with the historically strong last-minute award availability on AA shorthaul flights made Avios one of my favorite currencies to collect. Being able to spend 4,500 Avios as a PIT-based flyer to get to Boston, New York, Philadelphia, Chicago, and Washington nonstop on a moment’s notice was a great deal; it was still a good deal when they devalued AA short-haul domestic one-ways to 7,500 avios. However, AA’s new married segment restriction on award flights has left virtually no one-ways to any of these destinations from Pittsburgh for weekend getaways. The few choices that exist are now multi-segment awards (code for 15,000 avios / 12,500 AA miles) with long, undesirable layovers. I often find myself booking them at double the cost and throwing away the first segment now, effectively reducing the value of Avios by 50% on these redemptions. It’s frustrating to see AAdvantage taking this path and makes me glad I did a Delta status match challenge in April. Sure, Skypesos are pretty worthless but at least you can redeem them pretty inexpensively to hop around on short haul flights (PIT-BOS, PIT-JFK have great availability at reasonable rates). Hey Lucky, I like using Avios for flights on American within the U.S. I used to be able to link my AA number to the flights and recieve the benefits I get from my Barclays Aviator card. 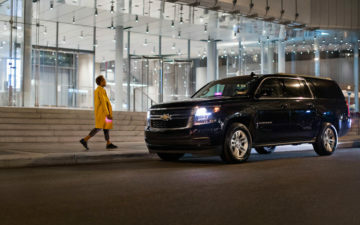 Am I no longer going to be able to link my AA loyalty number going forward in the future? Can no longer book AA flights with Avios. BA website broken. @ Ed — American award flights should be showing up on ba.com again. Are you not seeing them? I’m assuming the “travel together” ticket would have to be on BA metal? @ JSEA — That’s correct. 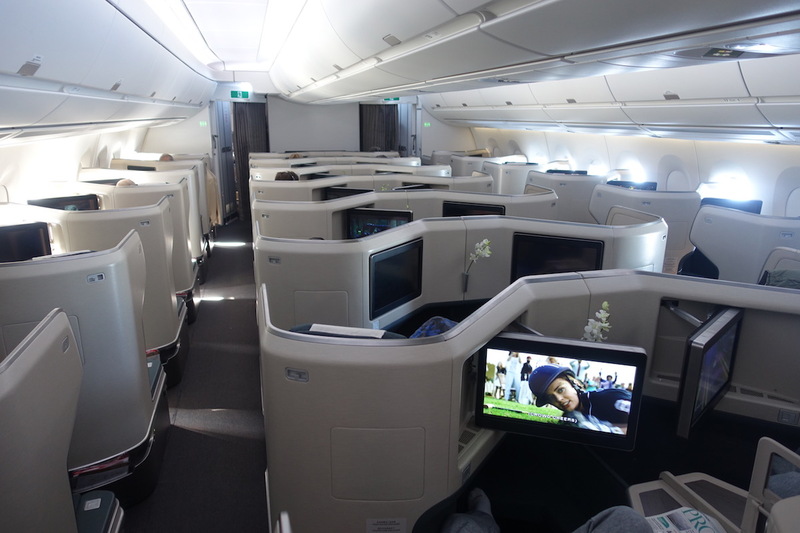 Just used my Travel Together ticket to take my wife from BOS to LHR in business class and then after a 3 day stopover we went on to Singapore in first class. It was a great use of my Avios and the Travel Together ticket, in my opinion, despite the surcharges of around $1,700! BA website has been broken for months so unable to use avoid for AA tickets. Just today, website not working (again) even though we were told problem had been fixed. Avoid this British Airways credit card until the British Airways website is fully operational again. What are the benefits after the first year? I have had the British Airways credit card since it first came out in 1993 (yes, for 25 years). I stopped flying British Airways (for the exception of a recent trip in March LHR-DME) about a decade ago — and the only reason I have kept the card (in my desk drawer) is because they say you should not give up your oldest card (and it is my oldest by far and also the one with an enormous credit line) and because I don’t want to lose my Avios (nearly 200,000 of them) through inactivity — but I really can’t wait to use them up (at decent prices, mind you) — the problem is that these flights are rarely available although I check every time. Also, I should point out that BA/Chase have reduced the benefits on this card over the years. They used to give 5,000 miles (before Avios were invented) on your annual renewal and they used to offer a greater multiplier on spend. I feel trapped. I did open an Iberia Avios account and credited it with some Royal Air Maroc flights in November — and since availability on AA flights is alleged to be better through Iberia — I’m thinking of moving more Avios over to Iberia and trying my luck from there. You forgot to mention the most important one. Namely, you fly BA and then get to whine about how it’s a crappy airline! ust used my Travel Together ticket to take my wife from BOS to LHR in business class and then after a 3 day stopover we went on to Singapore in first class. To book AA flights on ba.com just keep trying. It comes and goes, but I did manage to book flights for family earlier this week. Try plugging in your record locator on the FinnAir website. I have changed my FF number from BA to AA there. I think you need to separate the benefits of Avios (as a currency for travel) from the benefits of the BA Visa card. No question Avios can play an important role in booking flights. However, the credit card really only offers two meaningful benefits: 10% off BA flights and the Travel Together Ticket. Avios earning on purchases, including flights, is mediocre at best. If you rarely fly BA and hate paying surcharges (required for using the companion ticket) then this is a card to get for the bonus only. Lucky – I have a question regarding household miles. I am flying first class with wife and 2 kids soon on BA. 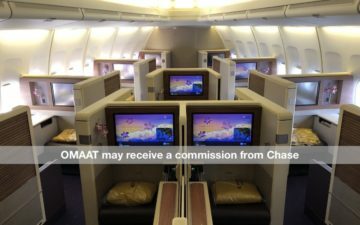 Would you recommend collecting the miles on household Avios or 4 separate Alaska accounts. The alaska bonus for BA F is outstanding but would it outweigh the ability to pool avios easily with household account?